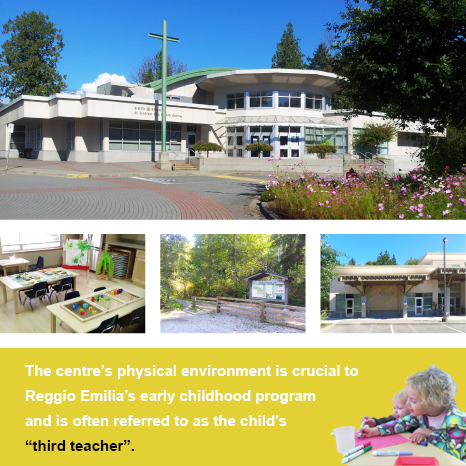 St. Andrew Kim ECEC is a non-profit organization established by St. Andrew Kim R.C Church. We share your wish to build a spiritual nurturing, creative and stimulating environment. Children are able to learn through experiences of touching, moving, listening, seeing and hearing. Children have endless ways and opportunities to express themselves. Surrounded by a natural atmosphere with various outdoor play areas. In addition, just a few steps away from Tynehead Park. Providing a natural and contemporary look settings and advanced educational materials for the children. I count my blessings every day, and having found St. Andrew Kim Parish's daycare is certainly one of them. The team is amazing, they are so attentive and caring, you can tell they love what they are doing. They really take each child's interest at heart and make that part of their daily activities. I love that the teachers regularly document what the children are doing, interactions they are having with each other and then send the documentations to us parents, along with pictures and quotes from books that explain their behaviors and learning stages. It is very interesting, and it demonstrates how much they care about the development of the children. My two little ones absolutely enjoy St. Andrew Kim Parish's daycare, and their life will be so much richer from their experiences there.